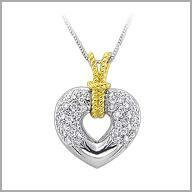 14k gold heart pendant and diamonds 0.4200ct. Show her just how much you really love her! 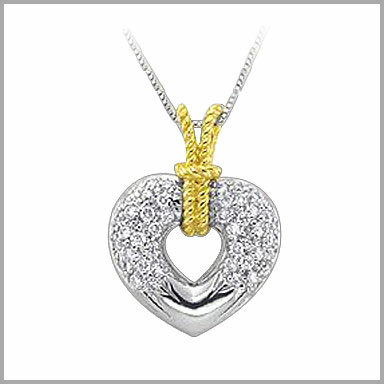 Crafted in your choice of polished 14K white & yellow gold, this open heart design features a total of 40 round cut diamonds in pave settings. The total diamond weight is approximately 0.4200ct with a color of H and clarity of SI2.It measure 7/8"x11/16x3/16H(including the rope design bail)It come with a chain 18".